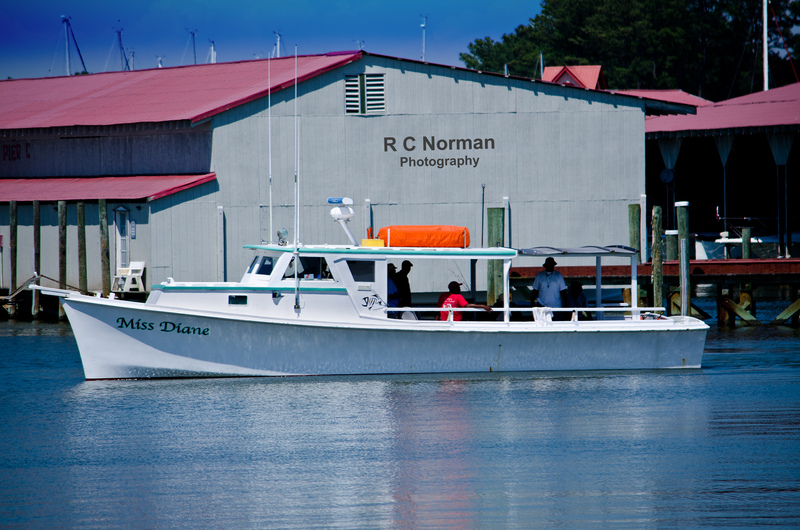 The Captain Thomas has been carrying passengers on Rappahannock River cruises for decades. From Tappahannock, she churns 18 miles up river to Leedsville, offering spectacular views of Bald Eagles, Blue Herons, Osprey and…. Wake Riders. 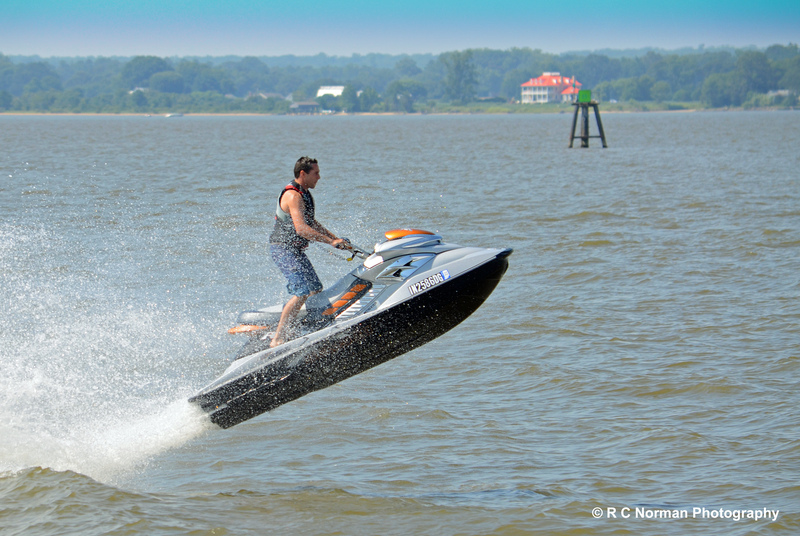 These are the jet ski dare devils who get adrenalin rushes jumping the 3-foot wake the Captain Thomas makes from her displacement haul plowing through the green water at 10 knots. Here’s one rider I caught just as he went airborne. 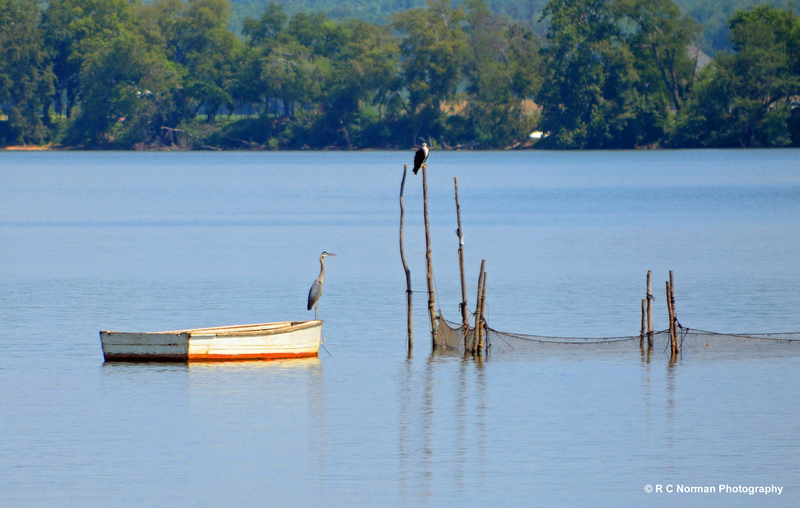 This Great Blue Heron found the perfect perch on the bow of this skiff, joined by an Osprey atop a nearby pole, each patiently watching and waiting for their lunch from this fish net on the upper Rappahannock River. 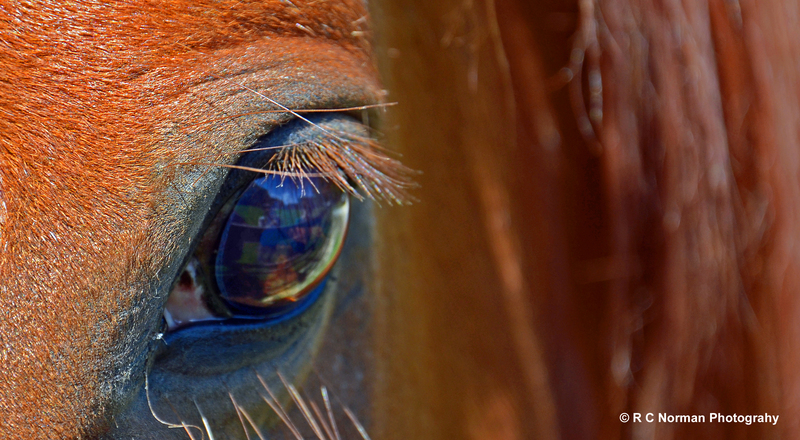 Specs: Nikon D7000, 300 mm, F/5.7, 1/1250, ISO 400. 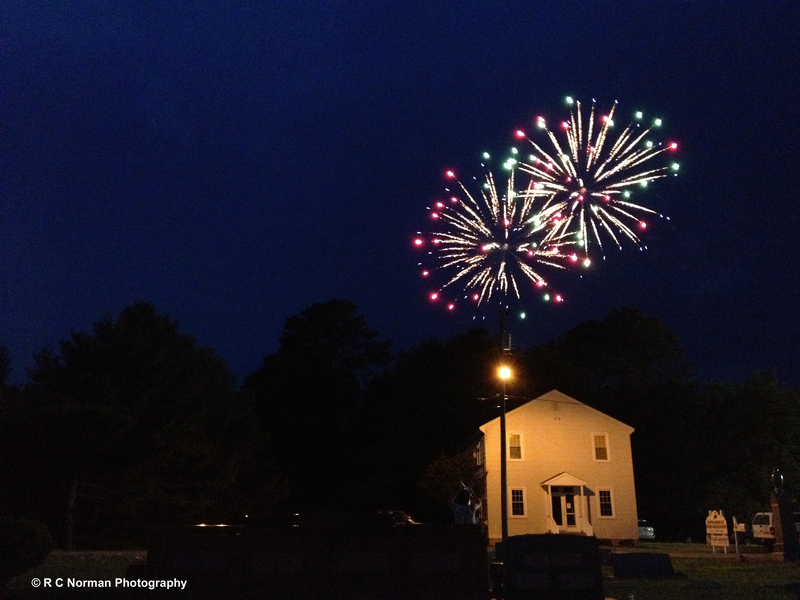 Here’s a shot I captured with my iPhone of fireworks at the end of Heritage Day in Deltaville, Virginia last weekend. Most folks gather in the local cemetery next to the ball park to watch the display, following the Deltaville Tides baseball game. The fireworks, sponsored by the Deltaville Community Association, are launched behind the town fire department. My family and I have made this a tradition for the past few years, and it was a great way to kick off our vacation this year. 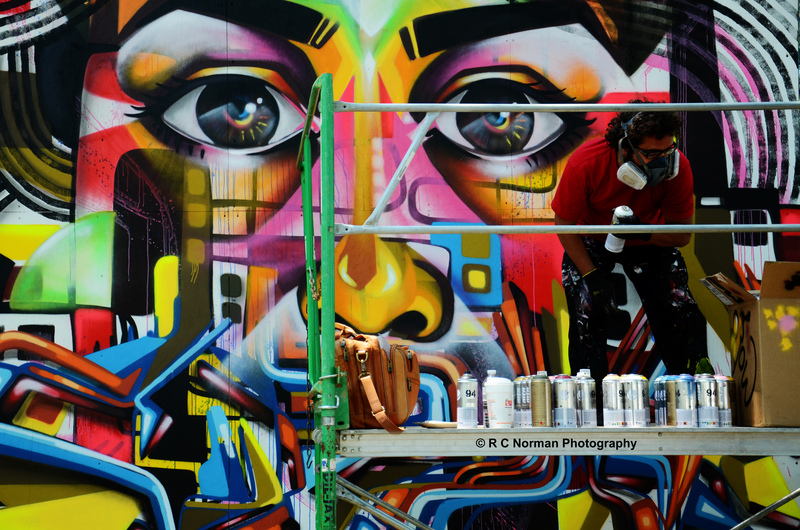 Spray paint artist at work on scaffold at the Folklife Festival in Washington, D.C. 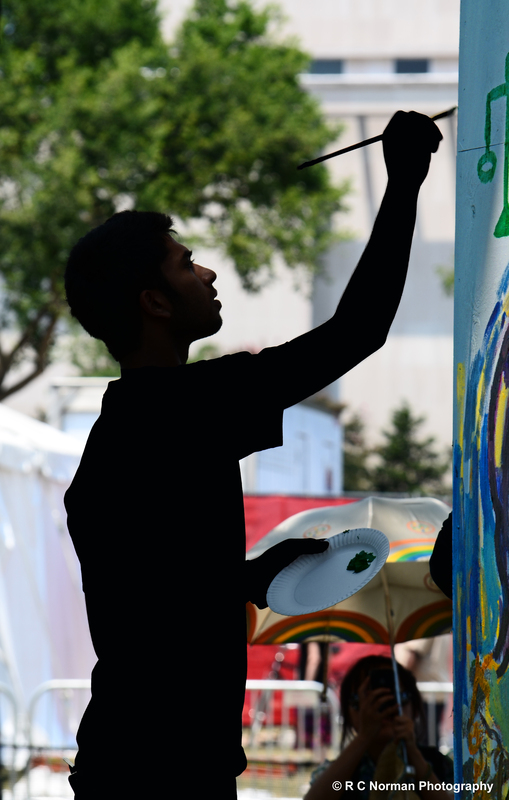 The public was welcome to pick up a brush and plate of paints to create and share its own art for the thousands of event goers at the 2012 Smithsonian Folklife Festival in Washington, D.C. happening now. I spotted this young man silhouetted against the bright sun-lit day adding his touch to one of several blank wooden “canvases” under the shade trees. Despite the heat, my kids and I spent yesterday strolling around the 2012 Smithsonian Folklife Festival on the Mall in Washington, D.C. A cultural fusion of art, crafts, music and food, the event is a treasure trove of photographic ops. 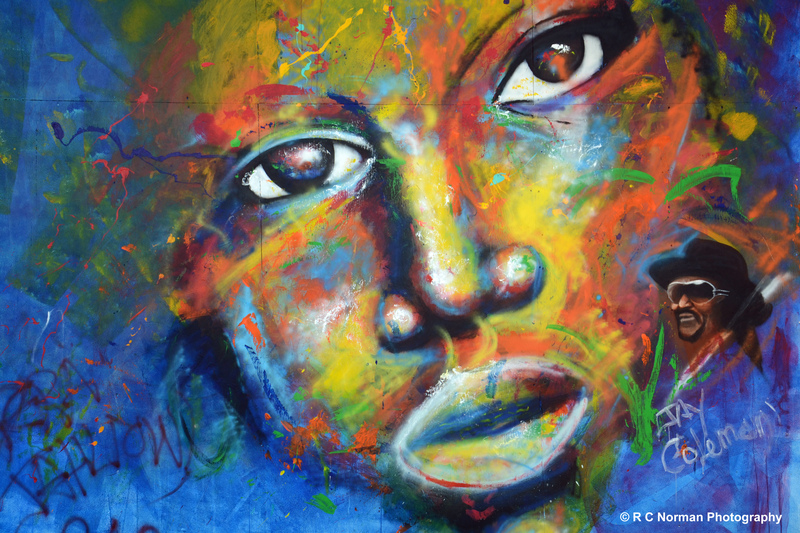 The vibrant color and energy of the graffiti art caught my lens, starting with the penetrating eyes of this work by Jay Coleman. My next several posts will feature scenes from this day of eclectic delights. “In My View” Hits 1,000 Likes! 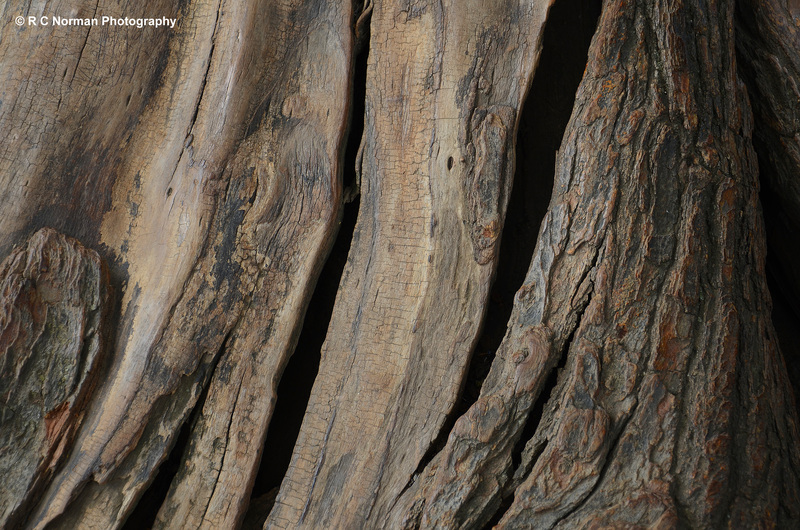 Thank you so much to followers and others for your interest and feedback on my photos. Hitting 1,000 Likes is a great motivation and encouragement, and I sincerely appreciate the response. “A Good Day’s Catch” is the name of a John Barber painting that hangs in my office. It came from the old A.H. Robins Company that was headquartered in Richmond (and is now part of the long Pfizer lineage). One of Richmond’s most notable philanthropists and patron of the Arts, E. Claiborne Robins accumulated numerous prints and paintings of Virginia artists like Barber to display for the enjoyment of his employees and visitors at the home office — still a familiar landmark along I-95 just North of Richmond. Today, however, the building sits empty and mothballed. With no signage atop the iconic executive tower and no cars in the crumbling, grass-patched parking lot, the property is barely a shadow of its former days as a giant in the pharma industry. Fortunately, much of the art that adorned its walls can still be found across the Interstate at the company’s old R&D facility that was renovated and today serves as the home for Pfizer Consumer Healthcare’s Global R&D. The Barber painting on my office wall, depicting a deadrise fishing boat unloading its catch at the dock, reminds me of scenes like this one pictured here of the Miss Diane returning from a fishing charter to her dock on Broad Creek. On lazy weekends at the river, I sit on my boat and watch these charters returning in the late afternoon and wonder if the tired fishermen had “a good day’s catch”.